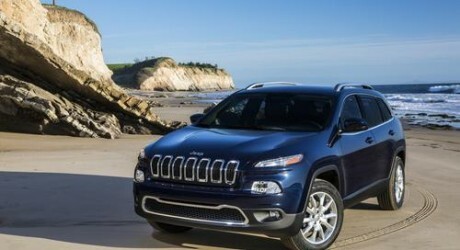 Jeep, a subsidiary of Chrysler LLC, has launched its 2014 Cherokee in the United States. The vehicle was launched at the 2014 New York International Auto Show. It will be produced in Toledo, Ohio and is to arrive at United States dealerships in the third quarter of 2013. The model features a radical design, with cat-like headlights flanking a creased version of Jeep’s seven-slat grille, a bumper with two-banks of driving lights, and an 8.4-inch Uconnect touchscreen infotainment system with a large TFT screen located in the instrument cluster. It will be available with a range of engines including a 1.4-litre Fiat-sourced turbo four-cylinder, a 2.4-litre Chrysler-engineered four-cylinder, and a 3.2-litre V6 based on the company’s 3.6-litre engine.